Prerequisites: AEDP Advanced Skills is for licensed practitioners who have completed both AEDP Immersion and AEDP Essential Skills (ES1). If you have not completed ES1 but have completed Immersion and Core Training (or a significant number of AEDP Supervision hours) and would like to participate in ES2, please contact admin@aedpinstitute.org. About Advanced Skills (ES2): Practical in its orientation, Advanced Skills (ES2) focuses on helping you both learn new, advanced AEDP skills, and cultivate and fine-tune the AEDP skills you already have. Each day’s teaching will include didactic presentations of theory along with video of actual clinical sessions conducted by AEDP Faculty followed by small group experiential exercises. In both left-brained and right-brained ways, our Advanced Skills faculty will teach concrete, specific interventions and techniques that will help you with the in-depth practice of AEDP and help you with your more challenging clients. Faculty, Experiential Assistants and Clinical Video: These are the hallmarks of all AEDP trainings. In AEDP, we pride ourselves in how thoroughly and deeply we seek to both undo professional aloneness and engage in rigorous clinical teaching. Our faculty are excellent as academics, clinicians and teachers. Participants deeply appreciate how effectively faculty presenters’ clinical video demonstrates “AEDP in action.” And faculty have skilled accompaniment from a large number of Experiential Assistants – up to and often including one Experiential Assistant for every three participants (though in Stockholm the ratio may be somewhat different). Participants rave about the excellent attention and support they receive in this unique learning environment. To see a listing of AEDP therapists who act as Experiential Assistants, click here. As course helm, Ben will serve to ensure continuity across and between days and weeks of the course and as such be the de facto course lead. Ben will also guest teach in support of the course’s Lead Presenters. “Oh, won’t you stay just a little bit longer.” Scaffolding and fine-tuning the experiential interventions of interpersonal and intrapsychic work. Advanced defense work Part 1: Building self and self compassion. Advanced Defense Work Part 2: When defenses don’t melt and can’t easily be bypassed. Pathogenic Affects: Working with shame and guilt in AEDP. Attunement, Co-regulation, and “Fierce Love:” 3 Essential skills in healing attachment trauma and transforming the self. Just portrayals: An emotion processing option. When positive experiences trigger negative reactions: Trauma, dissociation, ‘parts’ work; AEDP-IR. Pathogenic/Maladaptive Affects: Extended state 1 work; use of self; top-down as well as bottom-up restructuring strategies. Advanced Metaprocessing: Memory reconsolidation at work. Discover the central place of pathogenic affects (e.g. feelings of worthlessness, shame, unbearable aloneness, etc.) in trauma. Explain what therapeutic presence really means—being inside the patient’s world and our patients knowing it, feeling it, and viscerally registering it—and the integral part it plays in transforming pathogenic affects. Show what we really mean by “undoing aloneness”, how to regulate fear and shame, champion the patient’s self-at-best, and experiential work with relational experience—all key ingredients in transforming trauma and the self. Describe how to be more affectively engaged, relationally courageous (i.e. “fierce love”) and make more purposeful use of their own emotional experience in their work with clients. Identify three phobias associated with trauma work based on the Structural model of dissociation. Describe two AEDP-based therapeutic interventions that aid in the patient’s development of emotion regulation. Name two affective change processes in AEDP that can help stabilize patients in early trauma treatment. Define “Intra-relational AEDP” and identify two goals associated with its use. Explain how to reliably track patients’ position on the triangles and determine when the patient is functioning in the realm of feeling, defense or anxiety. Designate the different levels or subcategories of feeling, defense and anxiety. Demonstrate how to use knowledge about the patients position to guide therapeutic interventions. Explain concrete steps to restructure defenses and reduce barriers to connection in the therapy relationship. Establish ways to track and regulate anxiety so that it is in an optimal range. Demonstrate skills for accessing internal affective resources and unconscious material so they are available for therapeutic exploration. Are you an AEDP Institute Member? Log in to get your Member discount! Pay by credit card via PayPal or use Transferwise! Diversity Scholarships – A limited number of AEDP Diversity Scholarships are available for this course. Click HERE for the application. Certicates of Completion will be provided by AEDP Institute at the end of the course for those who have paid for the course, signed in and signed out each day (for proof of attendance) and completed evaluations for each course session. Certificates will indicate 65 Hours of training. Partial credit is not available. Please Note: If you have questions or concerns about this course meeting your licensing board’s approval, contact your board directly before you register to obtain a ruling. Ben Medley, LCSW loves supervising clinicians learning AEDP! He has a private practice in NYC where he works with individuals and couples and supervises both in-person and online. In addition to being a certified AEDP Supervisor, Ben is also a certified Emotionally Focused Therapy for couples (EFT) Supervisor. He has presented nationally and internationally, including co-presenting with AEDP faculty member Ben Lipton the workshop Feeling Like a Man: Using AEDP to Overcome Shame and Heal Attachment Trauma both with AEDP West in California and in New York City. He has also taught/presented with the Essential Skills course in Parma, Italy; taught/ presented in Ithaca with the Central New York AEDP community; has assisted with the NY Immersion Course with Diana Fosha; and has assisted in Essential Skills courses with Natasha Prenn, Ben Lipton and Eileen Russell. Ben also created and launched AEDP Jumpstart, a short-term AEDP supervision group for those beginning AEDP supervision and/or beginning to review video of clinical material. Before private practice, Ben began a mental health program for study abroad students with the Scuola Lorenzo di Medici in Florence, Italy; worked in the Jewish Board of Family Services LGBTQ Unit; and worked in Greenwich House's HIV Mental Health and Chemical Dependency programs. 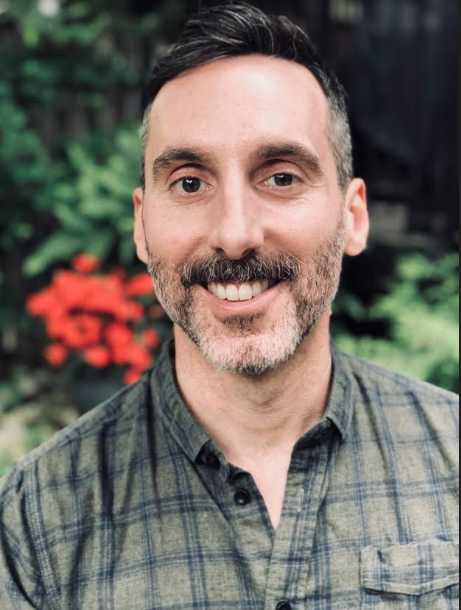 His paper "Recovering the True Self: Affirmative Therapy, Attachment and AEDP in Psychotherapy with Gay Men" is being published with the SEPI Journal: the Journal of Psychotherapy Integration and, in 2019, Ben will be helming the five-weekend ES2 training in New York City. Ben earned his degree in Clinical Social Work with the NYU Silver School of Social Work. Jerry Lamagna, LCSW, is a psychotherapist in private practice in New York City and Westfield, New Jersey. After completing his graduate studies at Adelphi University in 1993, he participated in a six month residency at the Caron Foundation’s Center for Self Development, and for six years thereafter his work focused on issues in chemical dependency/ACOA treatment. He currently works with individuals in AEDP psychotherapy, addressing problems related to trauma, dissociation, addiction, depression, low self worth and personality disorders. Throughout his career, Mr. Lamagna’s interest in affect based, experiential treatment approaches has led to his extensive training in psychodrama, EMDR, ego state therapy, trauma/dissociative disorder treatment, and most recently, AEDP. The study of these modalities has inspired his ongoing efforts to integrate relational, intra-psychic, and experiential elements into his clinical work. Mr. Lamagna, along with Dr. Kari Gleiser has developed a modified version of AEDP for the treatment of dissociative disorders. He has presented at national conferences sponsored by the International Society for the Study of Trauma and Dissociation (ISSTD), the Society for the Exploration of Psychotherapy Integration (SEPI), the International Experiential and Dynamic Therapy Association (IEDTA), the New Jersey chapter of NASW and the AEDP Institute. In January 2007, the Journal of Trauma and Dissociation published a paper written by Mr. Lamagna and Dr. Gleiser entitled “Building a secure internal attachment: An intra-relational approach to ego strengthening and emotional processing with chronically traumatized clients.” A subsequent article, "Of the self, by the self and for the self:Internal Attachment, attunement and psychological change" was published in the Journal of Psychotherapy Integration in 2012. Kari Gleiser, PhD, completed her doctoral work at Boston University and her internship through Dartmouth Medical School with a focus on trauma and PTSD. In her practice, she specializes in applying AEDP to the treatment of complex trauma, dissociative disorders and personality disorders. Dr. Gleiser is the co-founder and co-director of the Center for Integrative Health in Hanover, New Hampshire, a trauma center dedicated to multi-modal healing of mind, body and spirit. She has served a term on the board of directors of the New England Society for the Treatment of Trauma and Dissociation (NESTTD), where she chaired a committee on education and outreach. 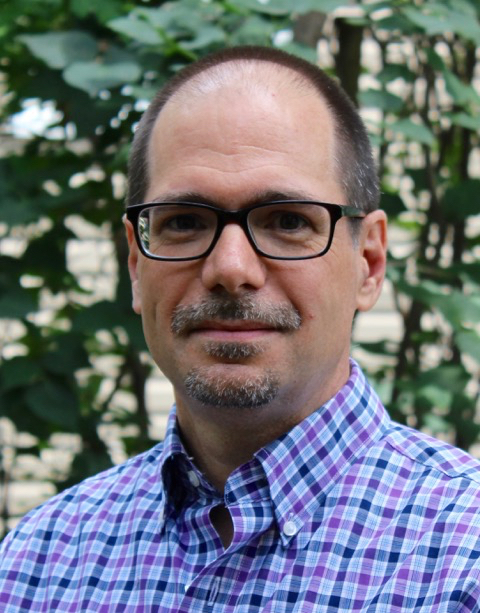 In collaboration with Jerry Lamagna, Dr. Gleiser has developed an “intra-relational” model of therapy, which imports AEDP’s relational and experiential interventions to patients’ internal systems of dissociated self-states. Dr. Gleiser has written several clinical papers and book chapters and has presented on applying AEDP to treat dissociative disorders at various international conferences. Ms. Pando-Mars' brings a passionate interest in how AEDP puts attachment theory and related neuroscience into explicit and experiential practice in helping patients to heal from relational trauma. Licensed since 1989, her background in somatic and experiential therapies includes Biofeedback, Focusing, Process-Oriented Psychotherapy, Sandtray-Worldplay, EMDR, and Authentic Movement. These influences are deeply woven throughout her work. She was a founder of The Sandtray Network and a contributing editor of its journal. 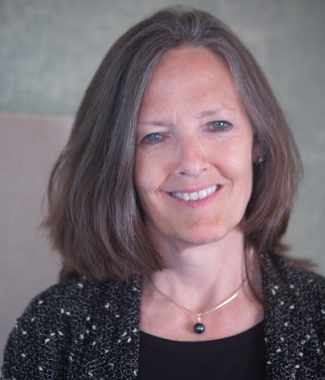 As adjunct faculty at Dominican University, in San Rafael, California, she taught AEDP as the overarching theoretical model in the Alternative and Innovative Psychotherapies course.